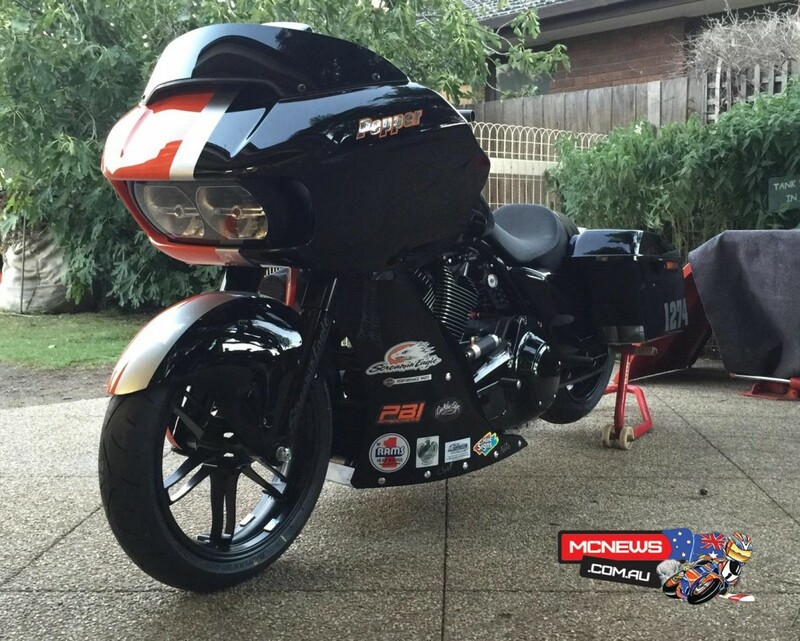 Harley-Davidson has announced it will be competing at the 2015 Dry Lakes Racers Australia (DLRA) Speed Week at Lake Gairdner in South Australia. 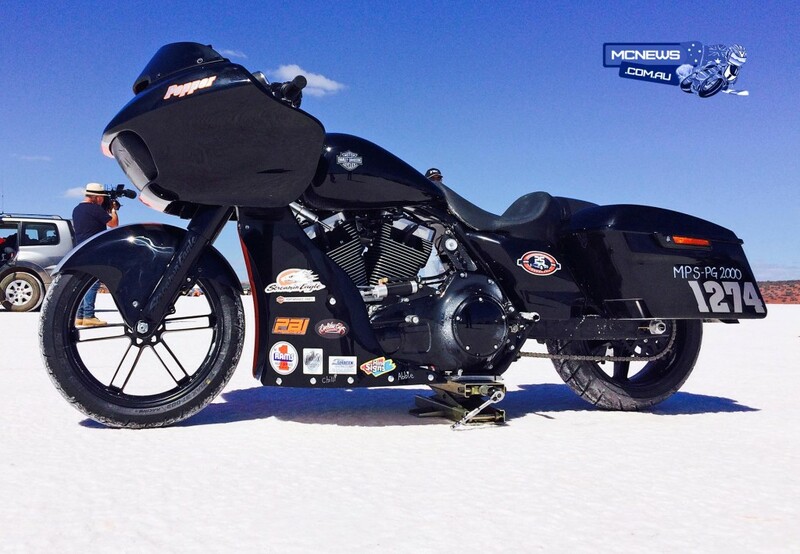 The specially prepared 2015 Harley-Davidson FLTRXS Road Glide Special, named Pepper is set to challenge in the Modified Partial Streamlined – Push Rod Fuel (MPS-PF) class. 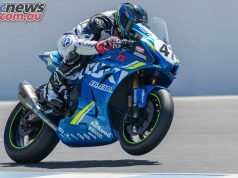 While somewhat tight lipped about their expectations and the power the 120 cucic inch Road Glide Special is making MCNews.com.au has been told that given perfect conditions the team are chasing the magic 200mph (321km/h) mark. 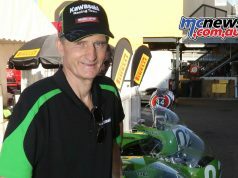 While that number will have the team ecstatic they will be disappointed if they do not manage to break 180mph (290km/h). That’s still one fast HOG! 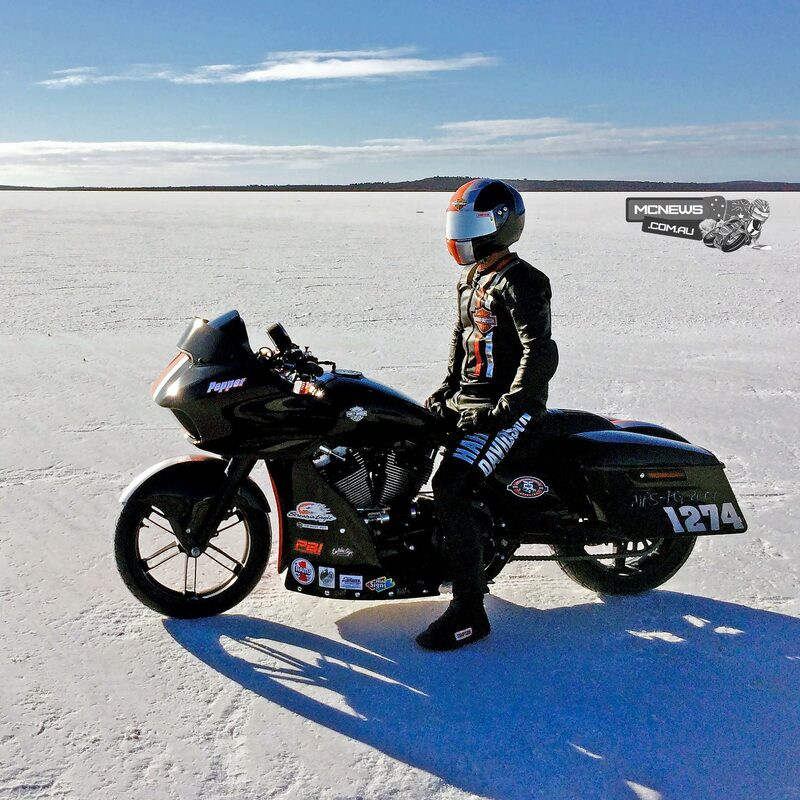 Engineered and built over the past six months out of the brand’s headquarters in Sydney, and a workshop in Victoria, Pepper is powered by a Screamin’ Eagle 120RX engine, and was developed specifically for the DLRA Speed Week which marks its 25th year of racing on the world famous salt flats in 2015. 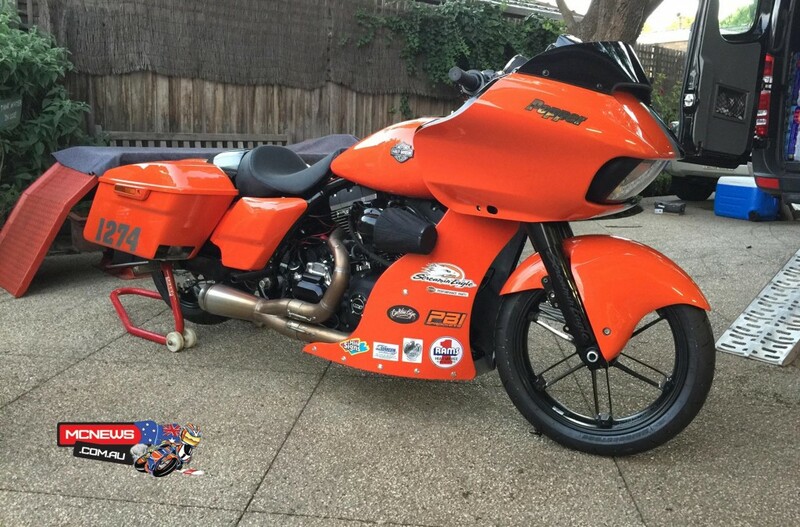 The one-off machine was built in strong collaboration between Harley-Davidson Australia & New Zealand and motorcycle drag racing aficionado Corey Buttigieg – known for racing the world’s fastest Competition Class Harley-Davidson V-ROD – who will also be piloting Pepper. 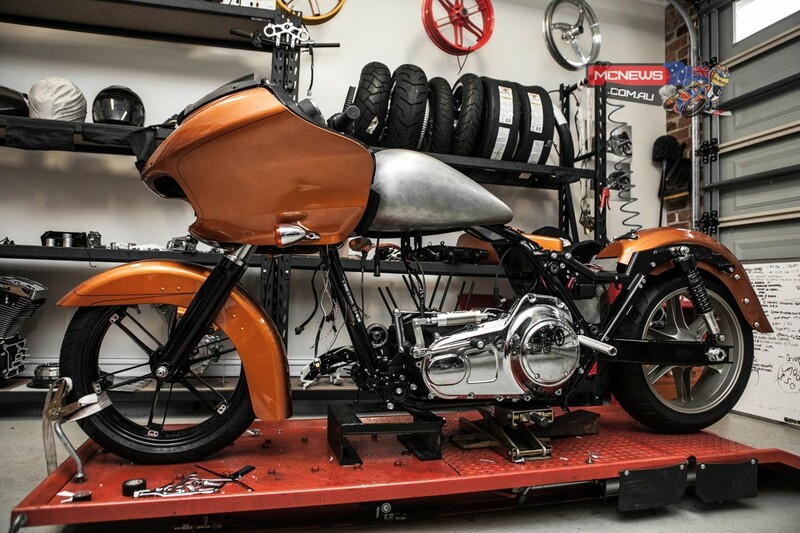 Dressed in Harley-Davidson black, white and orange livery – inspired by the brand’s racing heritage – the race-spec Road Glide Special remains largely a stock bike with H-D Screamin’ Eagle performance parts forming the basis for the engine and driveline modifications. 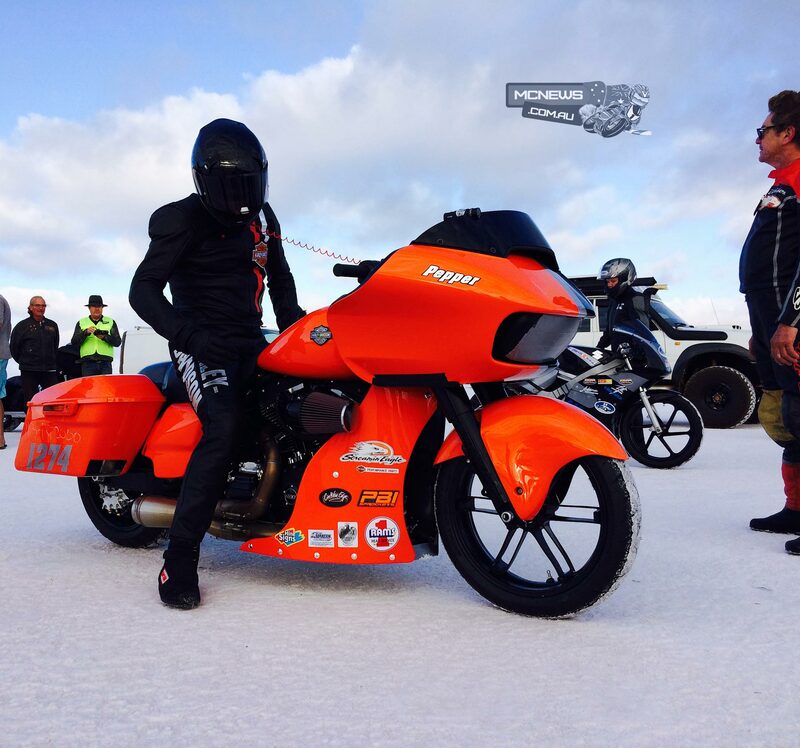 “The new Road Glide Special is the perfect platform to launch us to new speeds on the salt flats at the DLRA Speed Week,” commented David Turney, Advertising & PR Manager for Harley-Davidson Australia and New Zealand. “We wanted to create an absolute powerhouse and make a statement in a way that only Harley-Davidson can.” continued Turney, “And those hanging onto the bagger stereotypes of size, weight, power and agility, better get ready to see those misconceptions race past at speeds that’ll surprise you”. 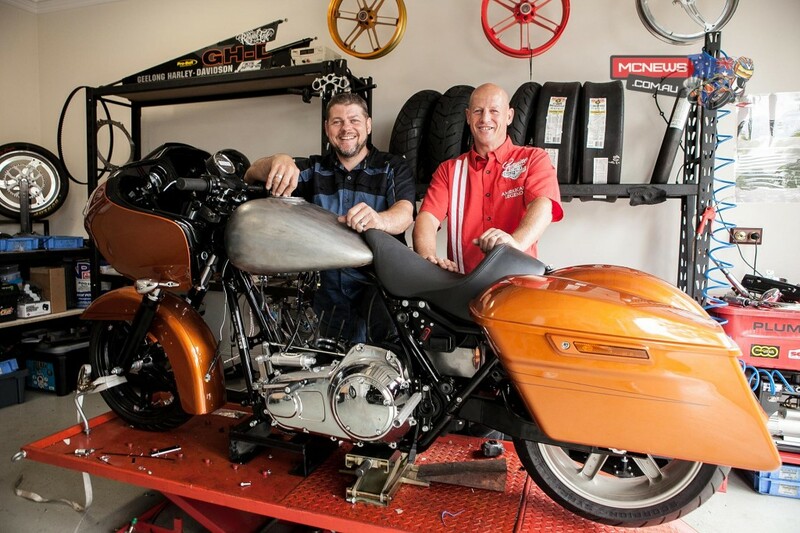 While constructed to set a new World Record, Pepper is built on the ethos that the stock motorcycle is retained with many of the add-ons being Genuine Harley and able to be bought over the counter from any authorised H-D dealer. 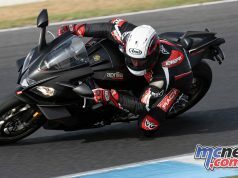 “For example, the profile of the slick front fairing is unmodified and we kept functioning paniers in the plans,” continued Turney. 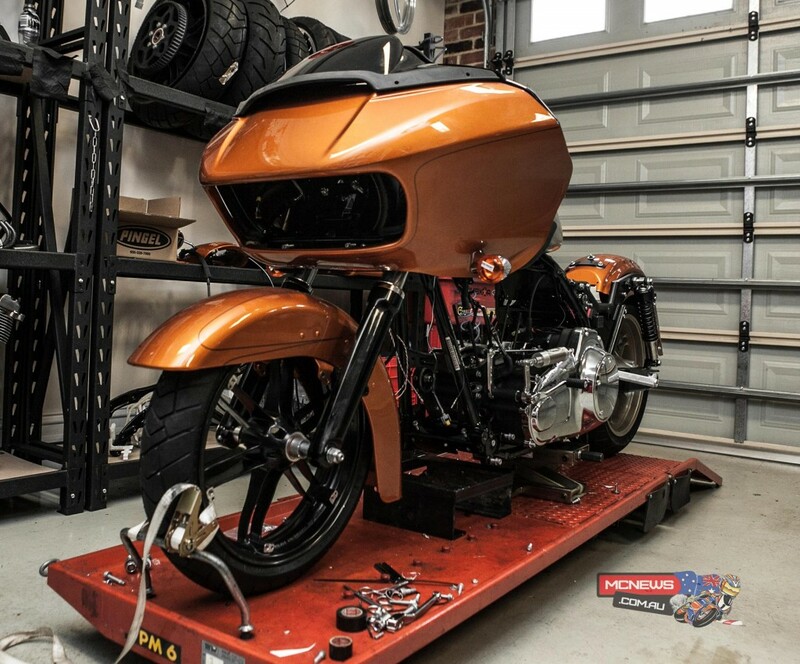 “All of these things contribute to maintaining Pepper’s identity as true bagger with all the features that make the Road Glide Special the finest Touring motorcycle in our current line-up. “The team has worked incredibly hard in an exercise that’s included precision engineering, expert design and commitment.” Turney concluded. 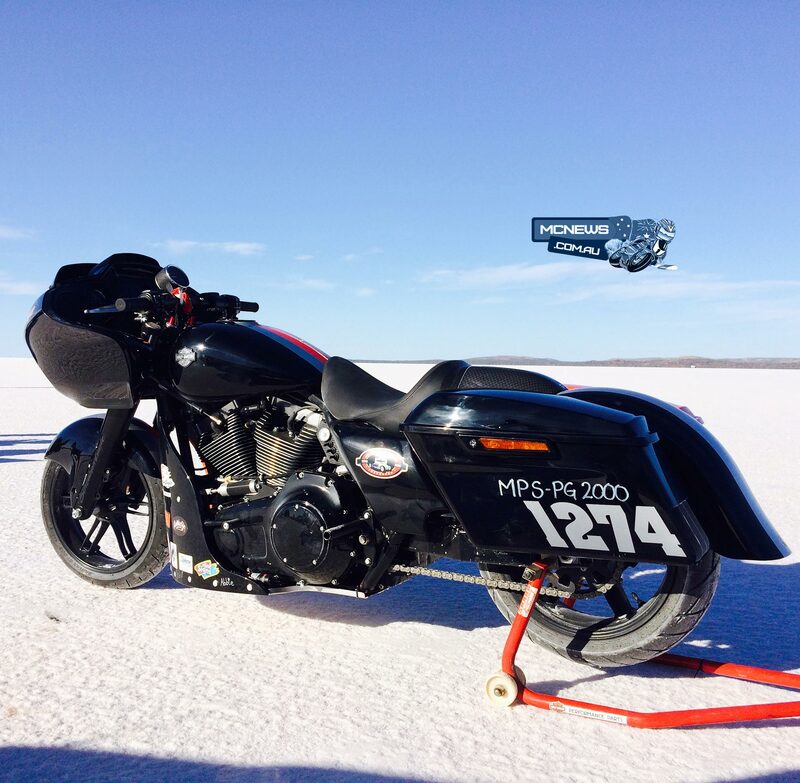 The Harley-Davidson land speed racing team is currently on the salt, readying for scrutineering and Pepper’s first official track run in qualifying. 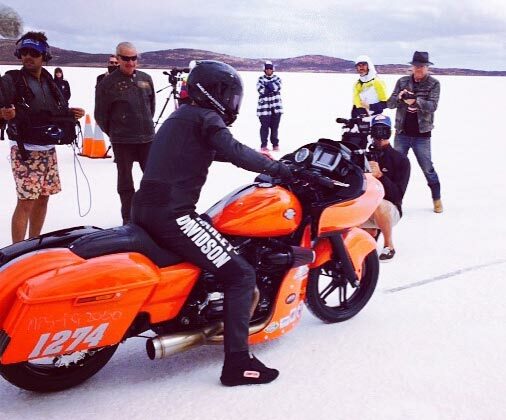 The 2015 Dry Lakes Racers Australia Speed Week are being staged this week at Lake Gairdner in South Australia – the fourth largest Salt Lake in Australia.